Practicing periodontics and implant dentistry in Traverse City, MI. Our highly trained periodontist, Dr. Amalfitano, will put you at ease and provide you with exceptional care. Dr. Joseph Amalfitano has been serving as a periodontist in Traverse City, MI, for over 20 years. Find out more how we can help! We have the latest tools to perform the most advanced treatments to restore your beautiful smile. Dr. Joseph Amalfitano the leading Periodontist in Traverse City, MI would like to welcome you to his practice. Having served as a periodontist in Traverse City, MI, for more than 20 years, Dr. Amalfitano is the most experienced All-on-4, LANAP and Pinhole provider in Traverse City. Director of the Traverse City Study Club and a board certified periodontist Dr. Amalfitano and his team provide a caring environment, world class periodontics, a thorough evaluation using the latest diagnostic equipment and modern treatment facilities. Healthy gums are a necessary ingredient for a healthy, fully functioning smile. Dr. Amalfitano specializes in the care of the gums. He offers a wide range of gum disease treatments, including scaling and root planing, osseous surgery, and LANAP®, a laser treatment for periodontal disease. Dr. Amalfitano keeps himself informed of cutting-edge treatments that have begun to limit the need for invasive surgeries, and adopts new technologies to best serve his patients. Dr. Amalfitano is proud to practice periodontics and implant dentistry in Traverse City, MI. If you are in need of a periodontist in Traverse City, MI, contact our office today to schedule a consultation! Replacing missing teeth with dental implants is one of the best ways to maintain the health and function of your teeth. 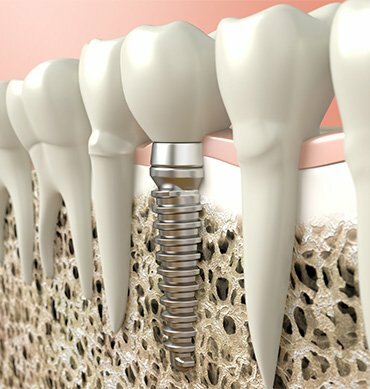 Individual teeth can be replaced with single implants that mimic the root and crown of your tooth. The titanium root fuses naturally with the bone, and the crown will complete your smile beautifully. As a periodontist, Dr. Amalfitano is ideally skilled to ensure a healthy connection is made between your gums and your new tooth. 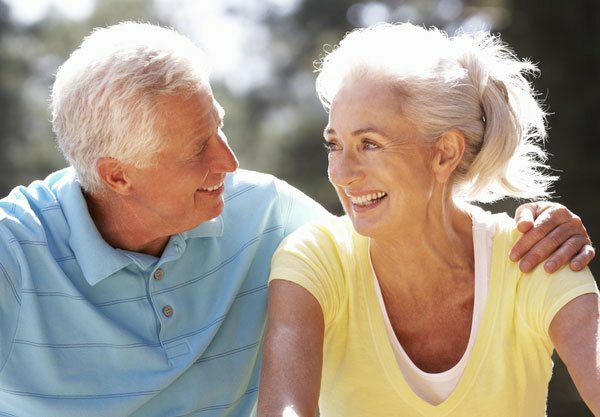 Implant supported dentures are a great way to replace all or most of your teeth without the instability and discomfort that is often found with traditional dentures.